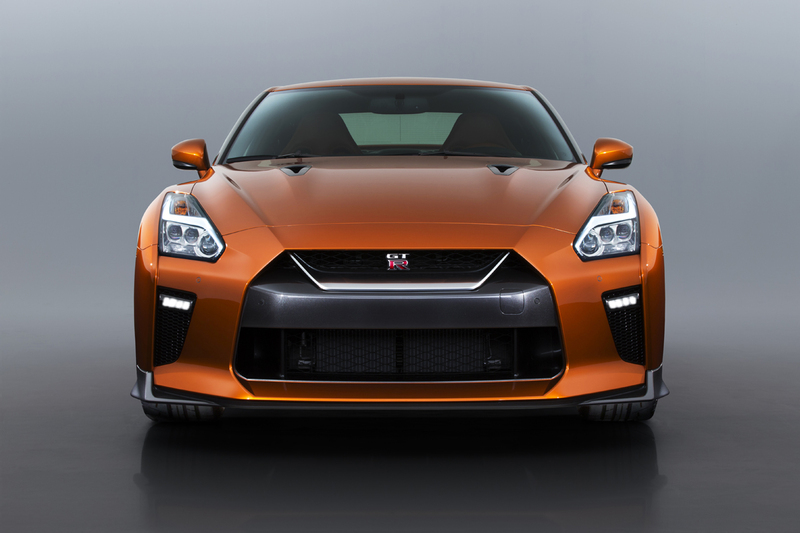 Godzilla, the Nissan GT-R has been with us now for a decade with few changes. 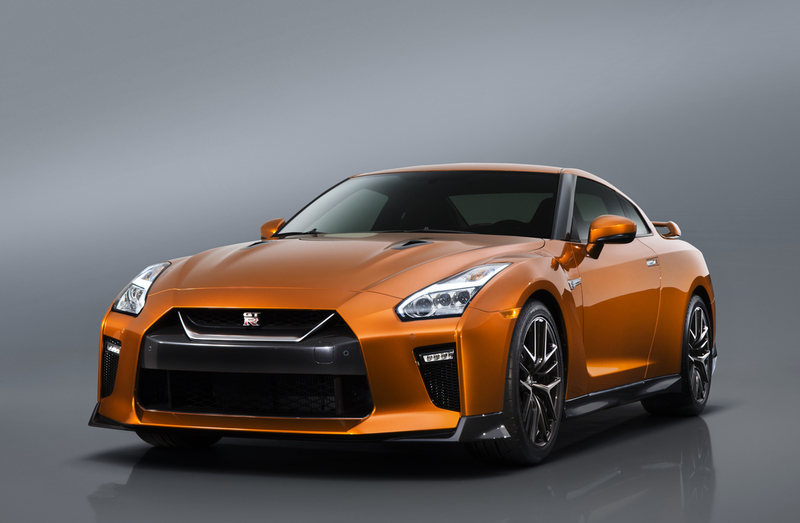 But this week at the New York Auto Show, Nissan brings a welcome fresh up to their halo super car in the 2017 Nissan GT-R.
Now if you’re a GT-R fan, you’re either gonna be glad or you’re gonna be pissed that the 2017 GT-R isn’t really all-new, but an enhanced and updated version of the same car that’s been with us since 2007. You need to think of the evolution as one similar to how Porsche has treated their 911 over the decades. In such, it gets a subtle restyling here and there starting with a new grille and fascia treatment up front that brings the design in line with Nissan’s V-Motion grille DNA that has spread throughout the line in the last few years. 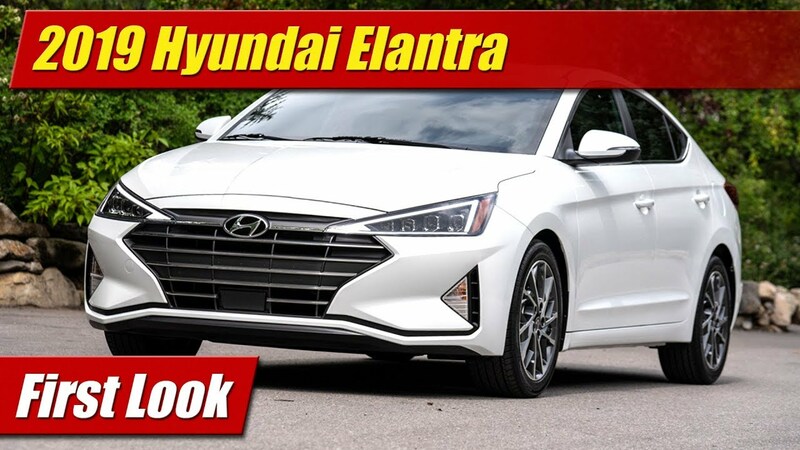 A redesigned splitter and air intake design offer better aerodynamics and cooling for the engine and it also gets a new new hood that has bolder lines that tie into the new grille and front fascia. 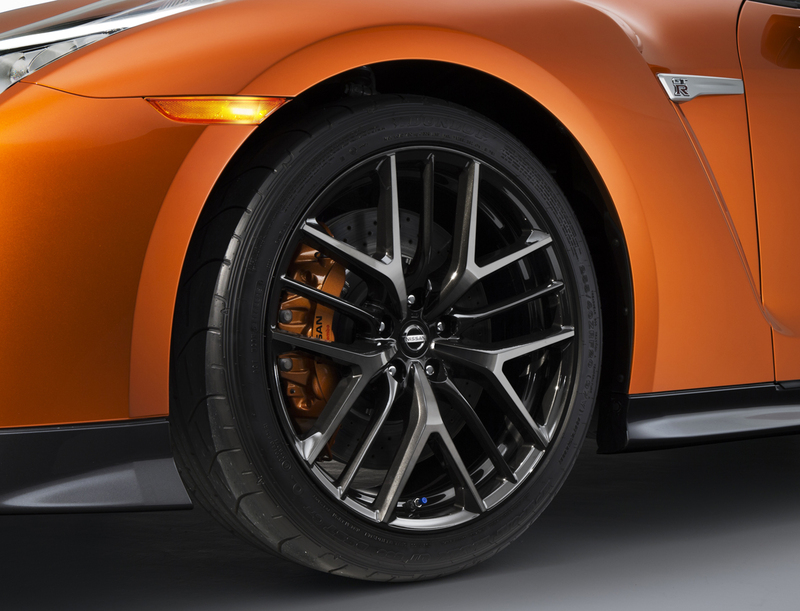 The entire package of changes Nissan says increases downforce at speed over the current model. 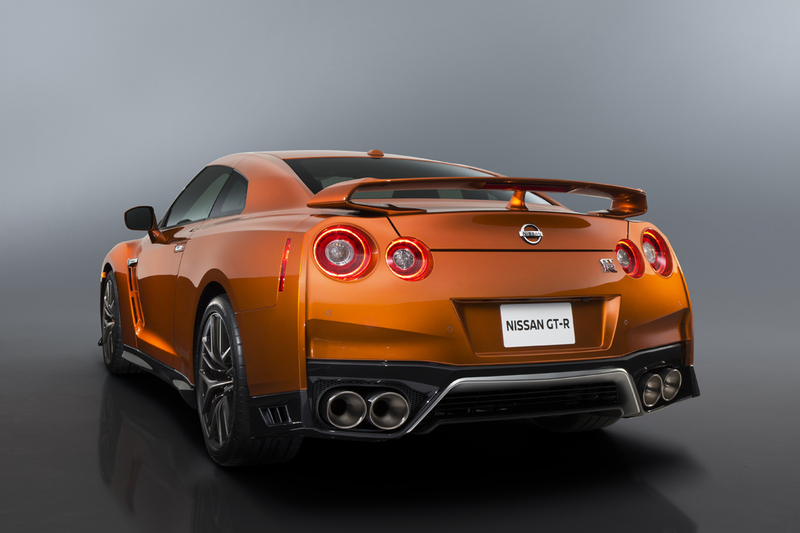 From the side view, the GT-R remains virtually identical, which will please some of its purists. Different are new lower rocker sills, wider to better direct air flow and give a more planted look. At the rear, a new rear fascia has a significantly more aggressive stance and of course – its trademark exhaust pipes. The interior is really where they changed things up though. An all-new dash design replaces the more robotic look of the current GT-R with a premium and luxurious theme more akin to high-end grand touring coupes than a race car. A new center stack is centered around a touch-screen infotainment system that incorporates audio and navigation controls, reducing the button count from 27 of the previous GT-R down to 11. Some will appreciate this, some wont. The look is clearly more premium with stitched Nappa leathers wrapping much of the cabin. Genuine carbon fiber trim on the console and new paddle shifters on the redesigned steering wheel should however keep track day enthusiasts feeling at home. 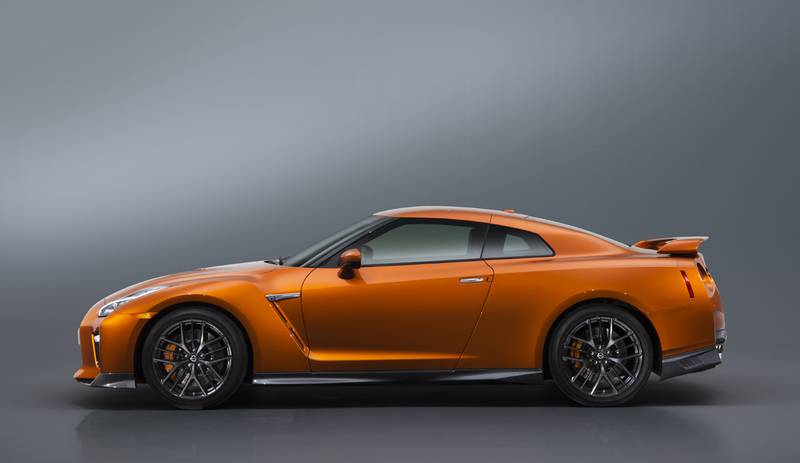 And that brings us to what motivates the GT-R. Again, keeping some happy and perhaps disappointing some is the same 3.8 liter twin turbocharged V6 that has made the GT-R what it is. It has gotten a power bump however up 20, now at 565 horses. Torque is now rated at 467 pound-feet. The extra power comes from software tweaks and slightly higher boost for the high-feature engines which continue to be a hand-built exotic piece of machinery in the Nissan showroom. No other engine from the brand’s vehicles gets this kind of care. 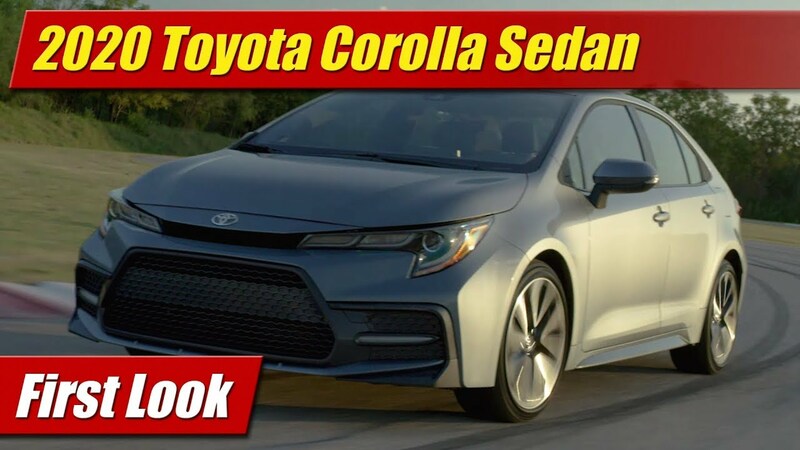 Shifting its twist continues to be a 6-speed dual-clutch transmission, revised for smoother shifting behavior and quieter operation – something most will be pleased about. And when it comes to sound, a new active titanium exhaust system is gonna be music to the ears. Handling a GT-R has already been legendary, but many in recent years have said it’s feeling old. 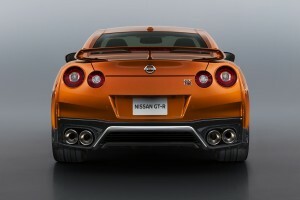 To this, Nissan made the body structure a bit more rigid. 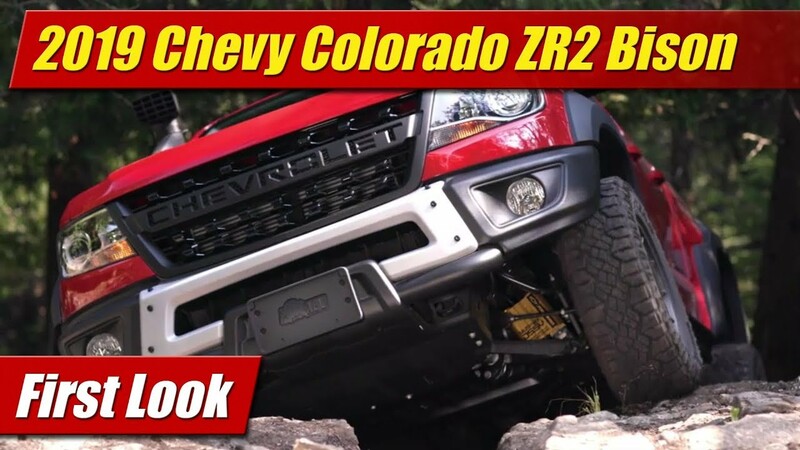 This allows for a re-tuned suspension to better take advantage of its 20-inch wheels and tires. What’s does that actually mean in handling outcome? I’m gonna have to let you know when I get a chance to drive one. Nissan does say that ride quality is much better, and road nose tamped down though. We’ll see. 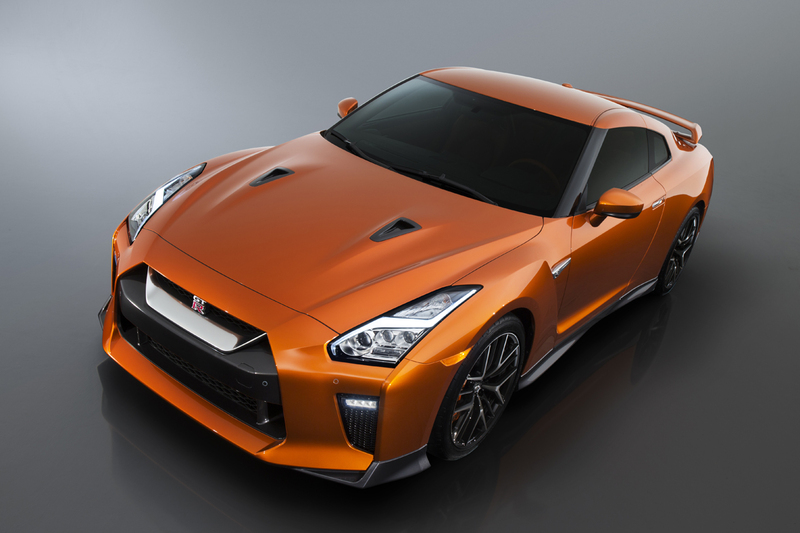 The 2017 Nissan GT-R will be available later this year with pricing as usual, to come closer to that time.